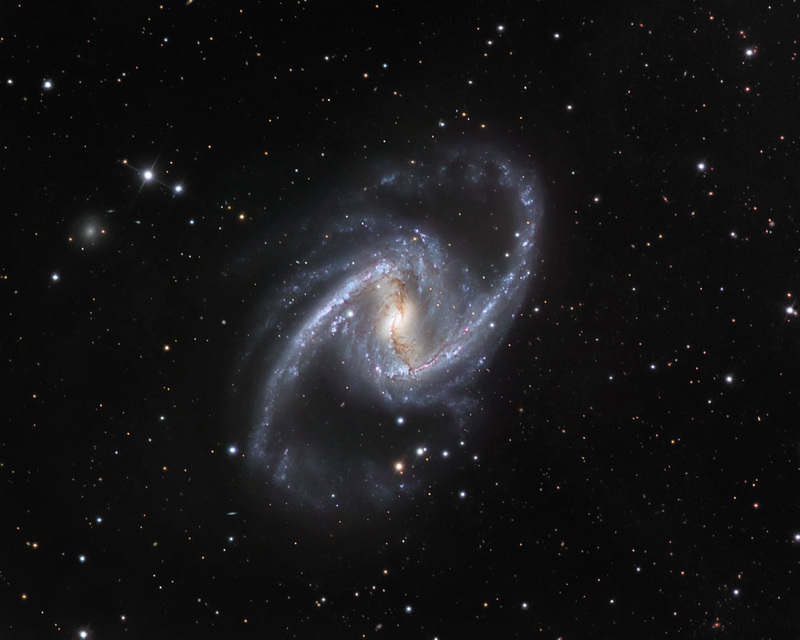 Spiralling around, 61 million light-years away in the constellation Fornax (the Furnace), NGC 1365 is enormous. 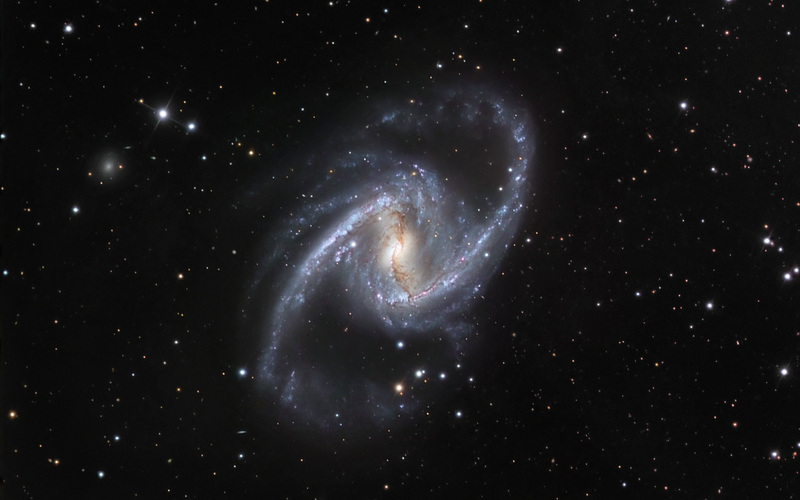 At 200000 light-years across, it is one of the largest galaxies known to astronomers. This, plus the sharply defined bar of old stars across its structure is why it is also known as the Great Barred Spiral Galaxy. 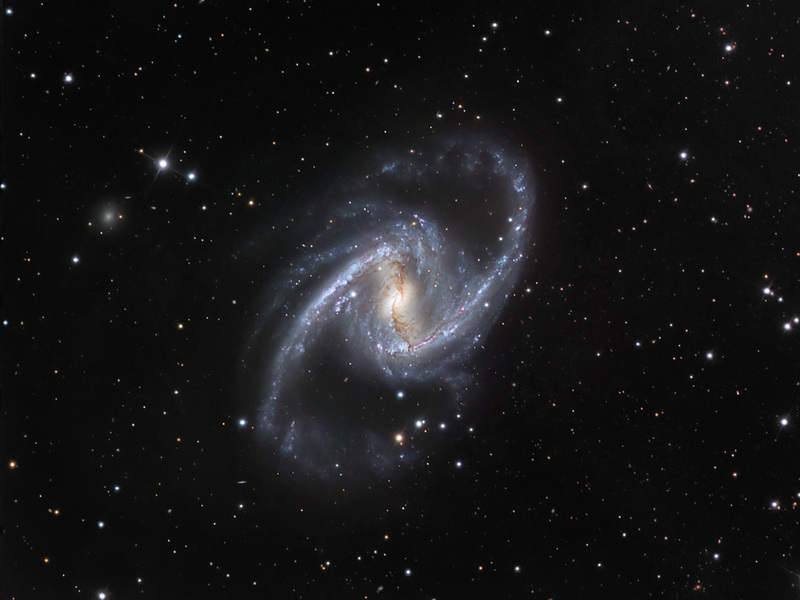 Astronomers think that the Milky Way may look very similar to this galaxy, but at half the size. The bright centre of the galaxy is thought to be due to huge amounts of superhot gas ejected from the ring of material circling a central black hole. Young luminous hot stars, born out of the interstellar clouds, give the arms a prominent appearance and a blue colour. The bar and spiral pattern rotates, with one full turn taking about 350 million years. This image combines observations performed through three different filters (B, V, R) with the 1.5-metre Danish telescope at the ESO La Silla Observatory in Chile. ESO/IDA/Danish 1.5 m/ R. Gendler, J-E. Ovaldsen, C. Thöne, and C. Feron. Position (Dec): -36° 8' 29.21"